In this period of year nature is full of force and release lot of beauty with solid intensity. It’s a season festivities and celebrations. It’s a season of melting of snow and colorful new era of life when earth is opening it’s arms to welcome to hug the most talented nature. Everything living on earth feels to grow young and energetic. It leaves the expression of his/her meeting. Born under this cusp are always strive of power in their day to day life. But their temper is scary dynamic of earth and solidness of Taurus, they see their birth right to be the best of every step. They can pursue their goals without doing any hanky panky. They make so easer to their goal that others starts feeling jealous of them. They know how to act, when to act and where to act. They are always self assure and people know them become confident about their impression. They always prefer to save their energy to use it at the right time. People involve with Aries-Taurus cusp can always be benefited tremendously of the powerful presence and ability of them. They care for money and they know money plays a great role in life. That is why they seldom ask money from others. As per love is concerned they will always go out of the way to make their promise to be kept. they speak less, and will always give opportunity others to speak. You see their energies when their broke, they are sleepless and they will be best doing mediation. And if they have money they will spend at touring, leasuring, massage and vacations. And relationship they have very solid and hard going but soon they realize if someone is cheating them. They always stand to be chosen rather than choose. After achieving any goal whether it is teamwork or an individual success. They won’t mind taking 100% credit of it. To release their tension they take credit and suffer for the longer period though they are very faithful but when they fail in paying they feel failure. Though they have power of love, affection, religion and sexual but they should not discard others so easily. you always know when they are in the room. They can make quite an impression on those around them. Their forceful personalities make them good leaders when they choose to be. They are also commonly found climbing the corporate ladder, becoming well known freelancers or running any situation, whether it is at home or in business. Aries-Taurus does not like to submit to the authority of others. They must beware of being overwhelmed by their own ambition. They are conflicted between their Aries and Taurus counterparts. Aries wishes them to be impulsive, energetic and intuitive, while Taurus is practical, sensuous and well-grounded. This may cause conflicts between practicality and dreams. In some cases, Aries-Taurus Cusp works well, with Taurus tempering the fiery boldness of Aries to a strong, determined realism. They may, at times, show a lack of emotional sensitivity that may be alarming to some. Aries-Taurus must fight their immovable nature with their forceful nature. It may take a long time for them to reach a balance that works well for them. They will need to learn to support their wish for stability with their aggressive side. Aries-Taurus is good at strategizing; allowing them to overcome what may seem like overwhelming odds. If they follow their instinct, they will know precisely when the right time is to act. Taurus helps Aries to plan each detail in preparation for their goal, so they almost always succeed. Aries-Taurus should learn to sit back and watch sometimes so they don’t overwhelm others. It is difficult for them to sit back and watch others do tasks when they know they can do it better. If they can keep the feelings of others in mind, they will fare well. They enjoy challenges of all kinds, whether it is in business, sports or intellectual areas. They play as hard as they work. They are known to be flirtatious, bold, opinionated, strong, quiet, talented, sensitive, humorous, money-oriented, eloquent, dependable, practical, patient, aggressive, helpful, aloof, stubborn, jealous, moody, fickle, over-sensitive, quarrelsome and changeable. Quite a handful, aren’t they? The Aries-Taurus Cusp is also known as the Cusp of Power. You can probably see why when they have so much going for them. They have the amazing ability to get into a project and really run with it all the way to its conclusion. They enjoy doing things for their family and friends, but it is easy to let this get out of hand. They prefer to follow their own instincts rather than follow the rules. This can cause trouble if they are not cautious. They may think they know it all, but they’ll get along better if they don’t act like it. While plans that go awry make them really annoyed, when they use a practical bent to their tasks, it generally works out better. 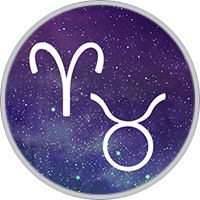 Those born on the Aries-Taurus cusp may be mechanically inclined, with the ability to stick with the job long enough to figure out any problems that arise. They are powerful, stylish, Super solid but their weakness is that they are blunt and lethargic. They should avoid their non-sharing nature and cooperate others it good to be sit silently and let things happens as they want to be. You should be sensitive about what other things.